Proud to help sponsor this Tulip Festival sanctioned event again! WoodFest: Timber to Tech! The students of multiple high schools and middles schools will proudly be displaying their amazing craftsmanship from woodworking to 3D printing. Watch live demonstrations from wood turners and carvers (including the uniquely popular chainsaw carvers! ), participate in family activities and browse the wares of various vendors, including: handmade wooden products, quilting, jewelry and more. There will also be a silent auction and raffle! For more information, as well as times and locations for all the WoodFest activities, please visit the WoodFest Event Page by the Sedro Woolley Chamber of Commerce. Looking for great ideas for your next project? Getting ready to build or remodel and need some inspiration? 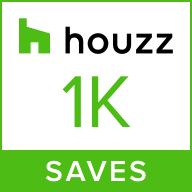 Houzz is an online community that focuses ONLY on residential architecture, interior design, landscape design, home improvement and decorating. With over 40 million users a month, it brings a huge amount of professionals, suppliers and resources right to you in the comfort of your home. Houzz is a resource you can TRUST. You will find tried and true recommendations, as well as customer testimonials for many of the suppliers, architects, builders and sub contractors. Tom and crew are truly professionals. If you want the best quality and service and are tired of dealing with the warehouses and their mediocre product, contact Cedar Country (formerly Cedar Creek). I have been purchasing materials from Cedar Country (formerly Cedar Creek) for years. They are a great supplier to work with, you will not find better service or product knowledge at any store. This is not the kind of lumber yard you stop by to grab a handful of studs at, but If you need cedar products or something specific from timbers to paneling these are the people to talk to. I have been doing business with Cedar Country (formerly Cedar Creek) since they opened their doors. They have always been extremely helpful, have quality products and a great price. Their customer service is superb! We invite you to become a part of the Houzz community and follow us by clicking HERE. If we have supplied materials for a job of yours and you would like us to feature on Houzz and other social media, be sure to email us your photos! We are sponsoring the “Ride In Style” tour on Saturday, September 9th for a tour of the Skagit County homes. We’ll be meeting the limo in the parking lot to the East of McIntyre Hall at Skagit Valley College at 10am and will visit 5 custom homes, with a stop in between for lunch at Flyer’s Restaurant. The tour will take approximately five and half hours. As of today, there are 6 tickets remaining for this exclusive “Ride In Style” tour of the Skagit County homes featured in the 2017 SICBA Tour of Homes. Each ticket is $35. Each ticket holder will receive a snack bag, a $10 gift card to Flyers Restaurant and a pair of booties. The limo will also be stocked with water, a growler of beer, one bottle of red wine and one bottle of white wine. Your ticket will be good for all 3 days, so you will be able to enjoy the tour and view the remaining homes on your own on Friday or Sunday. Looking forward to seeing you on Saturday, September 9th! Katie, Brutus, Kym & Tom at the Skagit/Island Counties Builders Association Christmas Dinner.